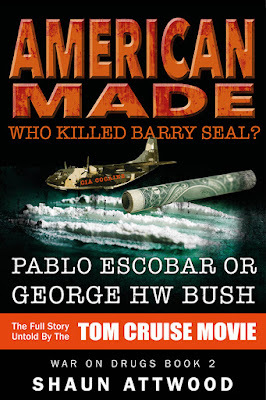 Set in a world where crime and government coexist, AMERICAN MADE is the mind-twisting true story of CIA pilot Barry Seal that the Hollywood movie starring Tom Cruise is afraid to tell. 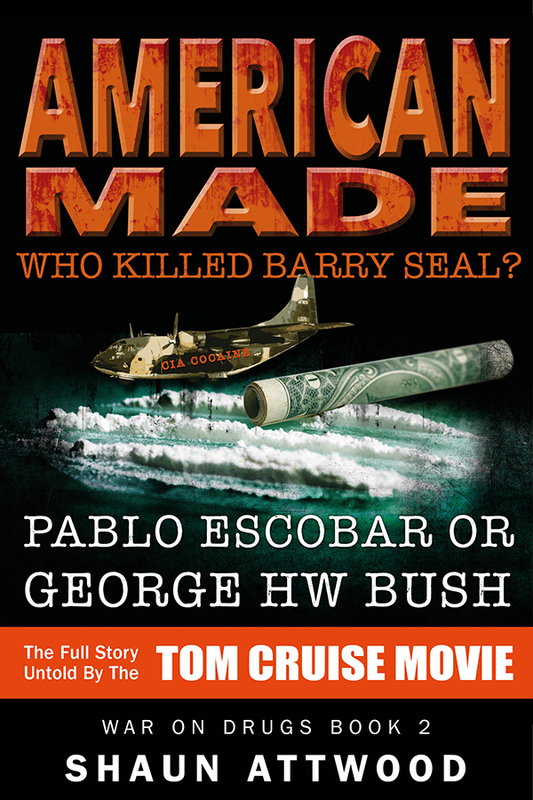 AMERICAN MADErips the roof off Bush and Clinton’s complicity in cocaine trafficking in Mena, Arkansas. “A conspiracy of the grandest magnitude.” Congressman Bill Alexander on the Mena affair. Shaun Attwood’s WAR ON DRUGS SERIES – PABLO ESCOBAR, AMERICAN MADE, WE ARE BEING LIED TO and THE CALI CARTEL – is a series of harrowing, action-packed and interlinked true stories that demonstrate the devastating consequences of drug prohibition.